Our goal at Deja Vu Carmel is to use what we have to build a perfect wardrobe we love, without being restricted by it. Too many times our wardrobes become burdened by a plethora of items we don’t utilize and end-up taking precious space and more importantly energy from us! We believe it’s important to re-use, recycle and redesign our wardrobe to best fit ourselves, because in doing so we build a wardrobe to pursue a life not only about appearance, but about SELF-EMPOWERMENT. We’d love to go on the journey with you to re-vitalize your wardrobe and bring out your unique style! If we aren’t able to help you find what you’re looking for, we’ll do our best to show you where else to look. 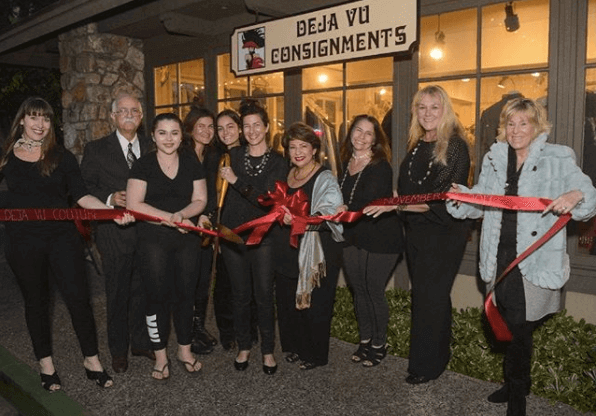 Deja Vu Carmel has been in The Barnyard for more than 30 years, providing clients with high-end designer, contemporary, and vintage clothing to select from. With our new ownership in 2017, we focused on providing a more unique and custom experience for our clients and fans! Our mother-daughter duo designer team helped urbanize this high-end consignment boutique to add the additions of a custom tailoring service (re-Design) and Closet Cleanse service to our clients.